You are here: Home / News / Apple listening to its Customers with iOS 9.3? 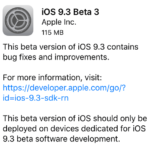 Apple listening to its Customers with iOS 9.3? A quiet petition launched in 2015 suggested that It’s been demonstrated beyond reasonable doubt that exposure to blue light frequencies in the evening is uniquely harmful to our natural circadian rhythm, making it harder to get to sleep as well as making the sleep less restful and restorative. This also interferes with morning wakefulness and daytime energy levels, concentration and general well-being. With iOS 9.3, Apple has checked this item off its users wishlist. 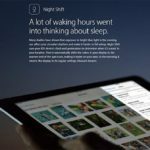 The iOS 9.3 will support “Night Mode”. 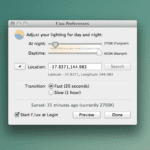 Using the clock and geolocation in the devices, the color of the display will gradually shift to the warmer end of the spectrum after nightfall, before returning to normal in the morning. 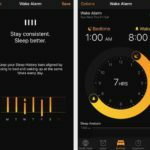 Apple said this feature had been designed to help people get better shut-eye. Other aspects of iOS 9.3 update centered around better security features, new health apps, and a new and better Carplay. Incidentally Carplay from Apple also won the Autoblog’s Technology of the year feature award. The Carplay feature will soon be featured in number of cars. Another aspect of iOS 9.3 that suggests that the company does listen and react to its customers focuses on the Wi-Fi Assist feature. 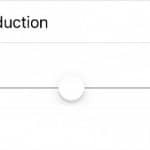 There were multiple lawsuits related to this issue recently and now with iOS 9.3, you can change settings in order for your Wi-Fi assist to show the associated data usage. It’s still a little early to think about another upgrade especially when we are still trying to recover from iOS 9.2 related problems. Hopefully Apple has provided fixes to the vexing problems from ios 9.2 in this latest update.